Did you know that, according to research, meditation can actually help prevent heart disease? In this day and age especially, we do a lot of things to keep ourselves healthy. As a leading provider of home health care in National City, California, we help you take all the necessary steps to ensure that we live a longer, healthier life. It’s high time to add meditation to that regimen. Meditation has a whole host of benefits that have been proven time and time again by reliable studies. Or if not by scientific research, you can simply rely on history: it has been used as a healing method in some of the earliest civilizations. It is also because of this practice that some of the greatest scientific and medical minds of the past were able to invent, create, or discover what they did. When you are able to find a balance between your spirit, body, and mind – which is what meditation accomplishes – you can lower your risk of heart disease. 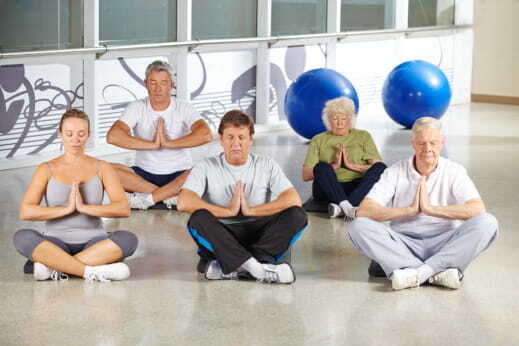 And as a home health care agency in San Diego County, California, we assist your care needs so you can better manage your health goals such as doing meditation. Recent studies have now led to findings suggesting that risk for heart disease can be significantly lowered with the help of meditation. They’ve discovered that those who meditate often and regularly are less likely to die of strokes or heart attacks compared to those who don’t. While research isn’t yet what you would call definitive, they do suggest that a lot of positives can come out of meditating. Heart disease is among the leading causes of death in America and that alone should make you seriously consider meditation as part of your health regimen. It’s vital to learn about the meditation practices that are suitable to you or a loved one. Once you discover what that is, be sure to practice it regularly. Mindfulness has a slew of benefits to your mind and body. Because of this, your feelings of anxiety and stress are significantly reduced and you’ll find yourself with a smile on your face a lot more than usual. There are a variety of meditation styles that could potentially be best fit for you. There are focused meditation, which focuses on any of your five senses; transcendental meditation, for clearing your mind; and mindfulness meditation for giving you awareness of the present moment. When it comes to your health, you can’t just expect that some kind of magic pill would make everything better. Getting better and living a healthy life requires considerable effort on your part – to change your lifestyle for the good. Adapt meditation into your health and wellness journey and get a stronger and healthier heart in the process. At Healthwise Home Health Care, Inc. we work with you implementing structured methods to improve your health. If you are on the market for a reputable, get in touch with us today. This entry was posted in Home Health Care and tagged health regimen, Heart Disease, Meditation, Meditation Practices. Bookmark the permalink.